Interesting post from my friend Pedro! A Pogo Stick On Steroids. 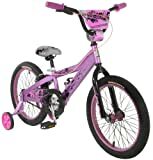 Elevation potential of over 5 feet--dramatically greater than any pogo on the market "Dang! You got shocks, pegs... lucky! You ever take it off any sweet jumps? [Cut to Pedro jumping] "You got like three feet of air that time." This Formula 1 Chronograph Watch from TAG Heuer might just withstand a collision on the racetrack! 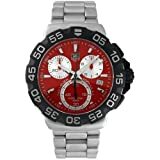 Ideal for any athlete, this watch's masculine stainless-steel band joins to a sturdy 41-millimeter-in-diameter stainless-steel case topped by a sporty titanium unidirectional bezel printed with large, silver-tone Arabic numerals in increments of five. Its impressive scratch-resistant sapphire-coated dial window reveals a red dial with silver-tone hour indicators and luminescent silver-tone hands. Three subdials and a discreet date window at the four o'clock add to the appeal of this watch rated water resistant to 660 feet. 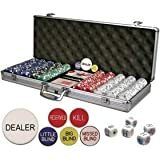 Get a huge set of 500 clay composite, 11.5-gram poker chips, 6 dealer buttons, 2 decks of cards, and 5 poker dice for less than $50. No rebate required. 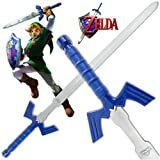 Master Sword on Sale at Amazon! for a low price of $54.99 (+shipping), you can have yourself your very own master sword. Have a Happy Zelda Christmas.